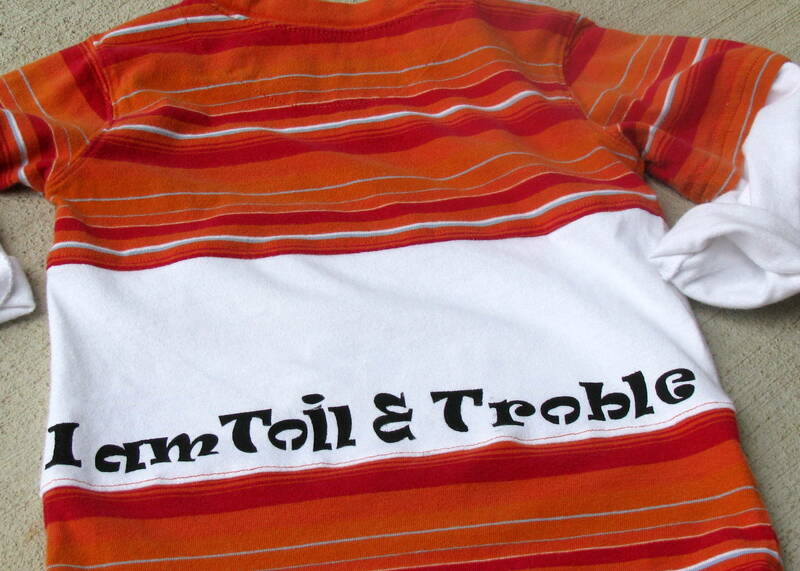 It all began with two shirts that from my local resale shop for $2.00 each. 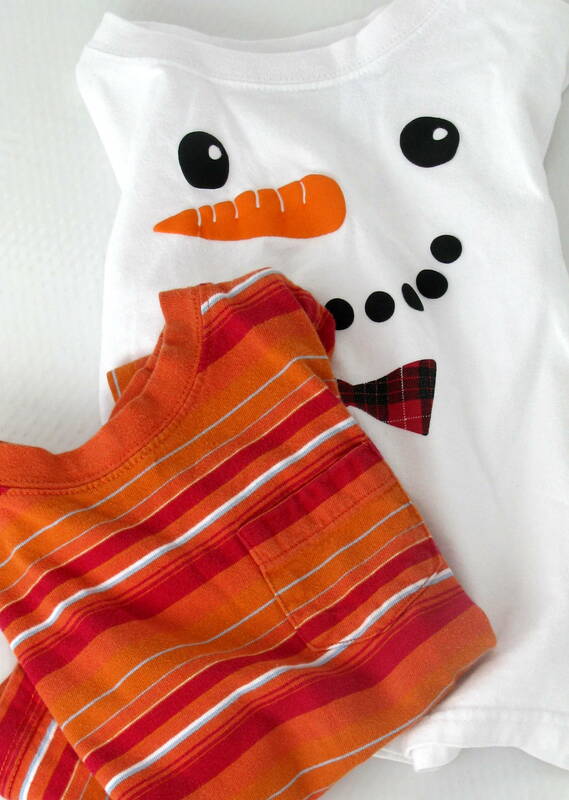 A little cutting, sewing, a little freezer paper, and some paint the snowman become a Halloween shirt. Devin calls it his Batman shirt. I wish I had stopped at the front. I thought it would be cute to paint on the back too. It probably would have been cute. 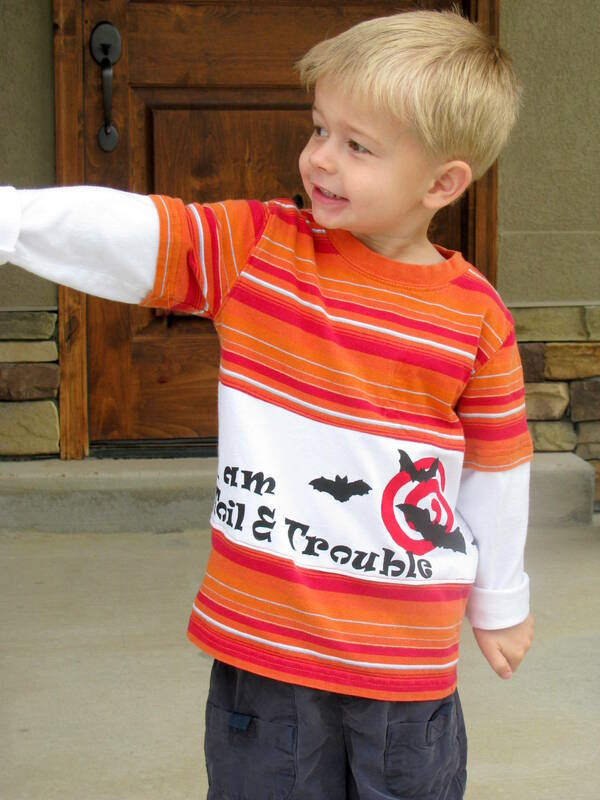 Oh well, I'll just make Devin walk backwards around the pumpkin patch so no one will see my mistake! This reminds me when Mom started the Shelton's Sunshine School and made a big poster for it, but she spelled it "Shelton's Shunshine School" because that is the way Ray said it. Oh, too bad. It was such a cute shirt. Your little guy and his big brown eyes remind me of my little boy. I've enjoyed visiting with you via your blog. Stop by and see me sometime. What a great idea! 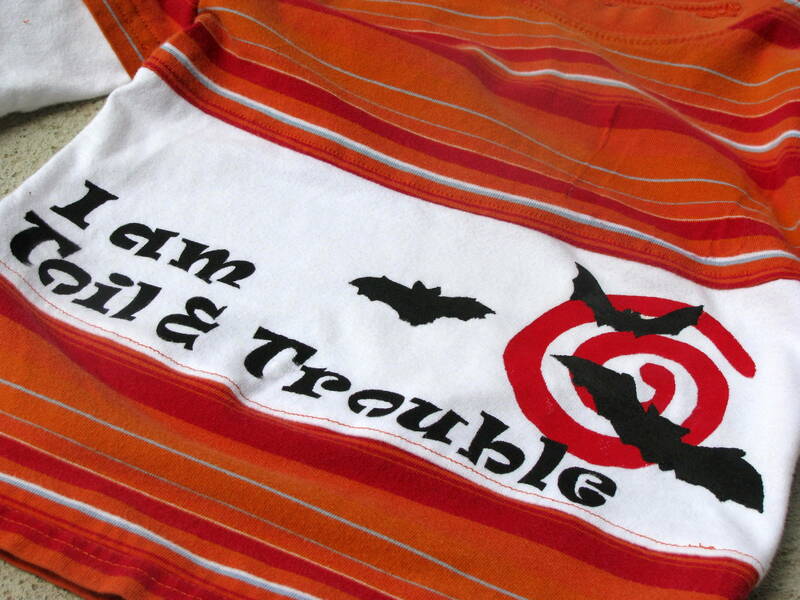 We can never have enough Halloween shirts around here. I say focus on the fact that you our making your sun a holidae shurt...sumthing that my chilldren will never enjoi, becuz you are a way better muther than I will ever be. The misspellings were intentional, by the way. Something I probably wouldn't feel like I needed to explain, if I didn't get paid to teach children how to write properly. Hello! I enjoyed visiting your darling blog. 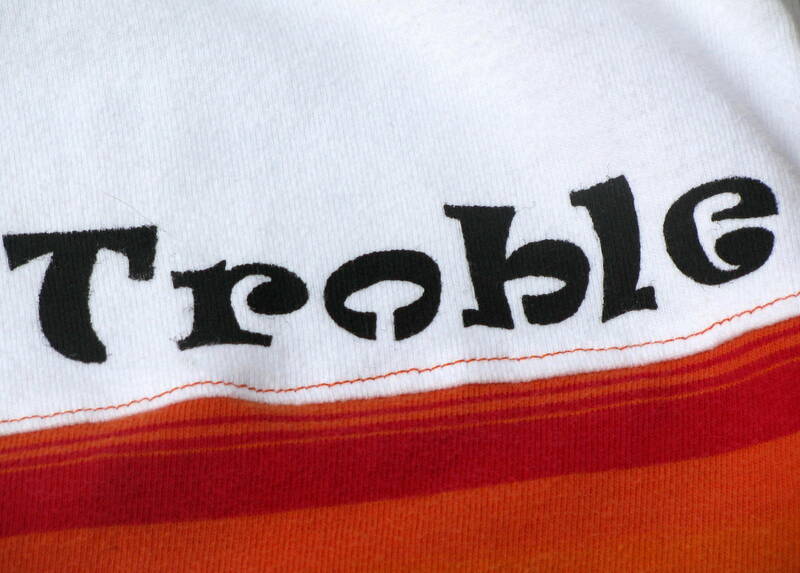 I thought the spelling on this shirt was intentional! As I read it, it sounds like a little boy may pronounce it--so don't worry. :D Thanks for sharing all your cute ideas.